The John Smith’s Stadium, also known as Kirklees Stadium, was one of the first modern-era stadiums to be built in England. 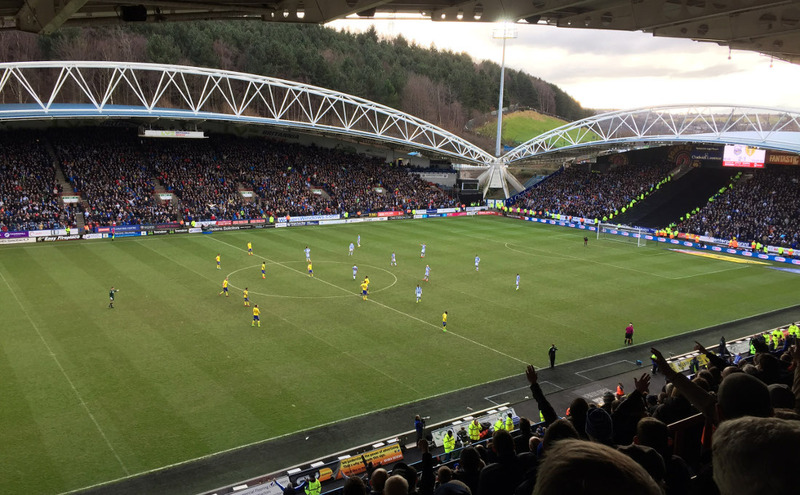 It replaced Huddersfield’s old Leeds Road. 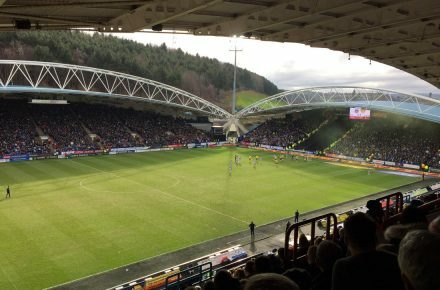 Construction of the stadium started in 1992, and when two new stands were finished in the summer of 1994, Huddersfield moved into their new home. The stands at both ends were completed in late 1994 and 1998. The stadium was initially called Alfred McAlpine Stadium, but changed names in 2004 to Galpharm Stadium following a new sponsorship deal. The stadium has been called The John Smith’s Stadium since the summer of 2012 after a new sponsorship deal was agreed with brewer Heineken. The John Smith’s Stadium is located just north-east of Huddersfield town centre and the main rail station. The walk will take 10 to 15 minutes at most. There are frequent direct trains to Huddersfield from, among others, Leeds and Manchester. If arriving by car, follow directions to Huddersfield town centre. The stadium is clearly signposted at approach of the centre. John Smith’s located is located a short walk from Huddersfield Town centre in an area which is a mix of retail, residential housing, and some light industry. There’s a cinema and entertainment complex right next to the stadium with a pub and fast food restaurant, but overall there are few options for eating and drinking right near the stadium. 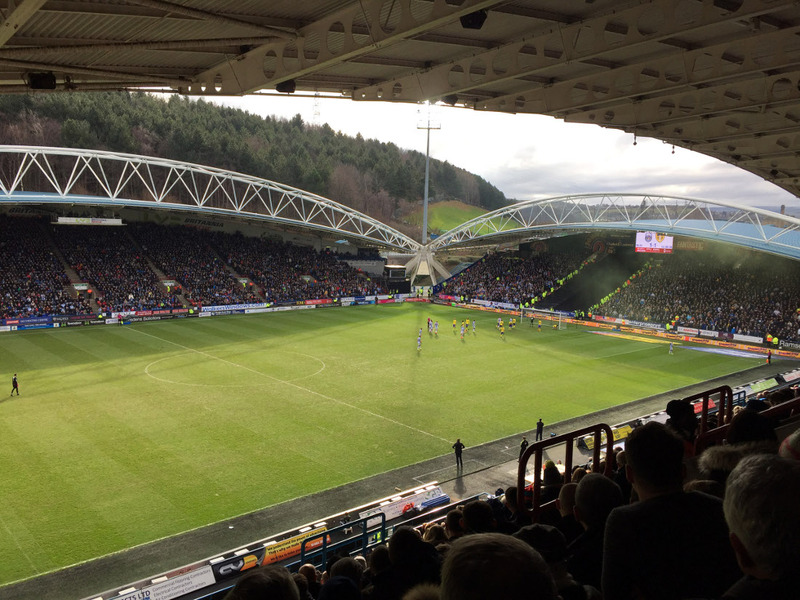 There are no hotels directly near the stadium, but Huddersfield town centre is a short walk away. Still, there is no wide selection of hotels to choose from in Huddersfield, but hotels like Huddersfield Central Lodge and Cambridge Hotel are affordable and get good reviews. Click here for an overview of hotels in Huddersfield. Most people will, however, stay overnight in Manchester or Leeds and travel in for the game. Tickets for Huddersfield Town games can be bought online, by phone +44 (0) 1484 484 123, or at the ticket office at the John Smith’s Stadium. 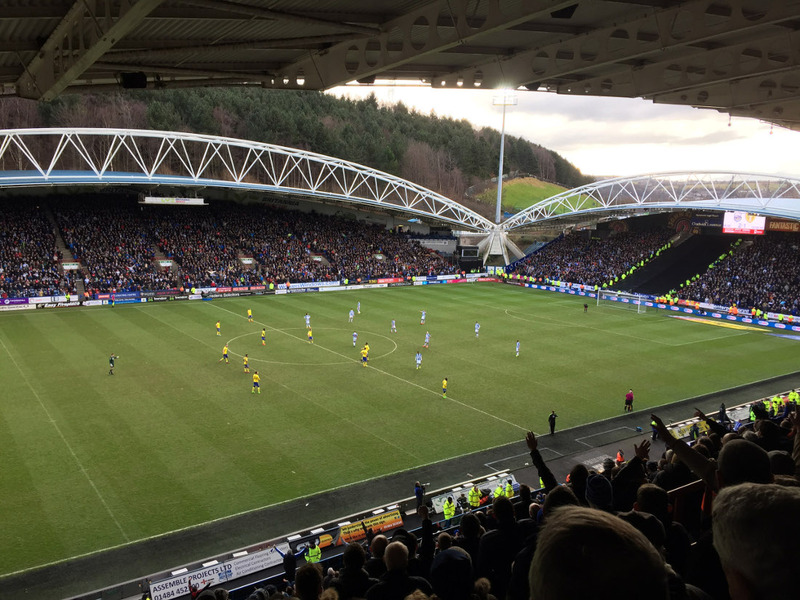 Huddersfield have divided their home matches into two pricing categories. Ticket for category matches cost £30.00 for all stands while tickets for category B matches cost £20.00. 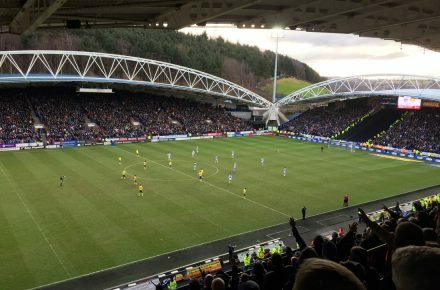 Htafc.com – Official website of Huddersfield Town FC. Johnsmithsstadium.com – Official website of the John Smith’s Stadium. Great atmosphere and very modern stadium that puts all other modern grounds to shame. I’ve visited all the stadiums in premier league and championship and this is by far the best. Huddersfield fans are extremely friendly and witty. Not a very good atmosphere, the ground itself is in need of a good make over to modern requirments, to have a pie and pint stood outside in the rain on a cold winters day, took me back to the late fifties,the toilets also need a lot of work,the staff were ok,the police were very helpful and polite. Would I go again,doubtful ,unless a game with a major reason,ie,cup match,or league decider,Huddersfield Town note the decade twenty first century,please join us,you’re very welcome. Just a quick note on the tickets. Tickets for behind the goal in the home end (Fantastic Media Stand) are only available if bought with a child ticket. If you are buying tickets for adults only then the cheapest tickets are in the Britannia Rescue Stand (formally known as the Antich); a large single tier stand running along the side of the pitch opposite the main (Direct Golf or Riverside Stand). Tickets in the Antich start from £21 for category D games.